Whether you need a simple no-fuss locking stitch marker, or need a replacement melody clip for your row counter, we’ve got you covered! 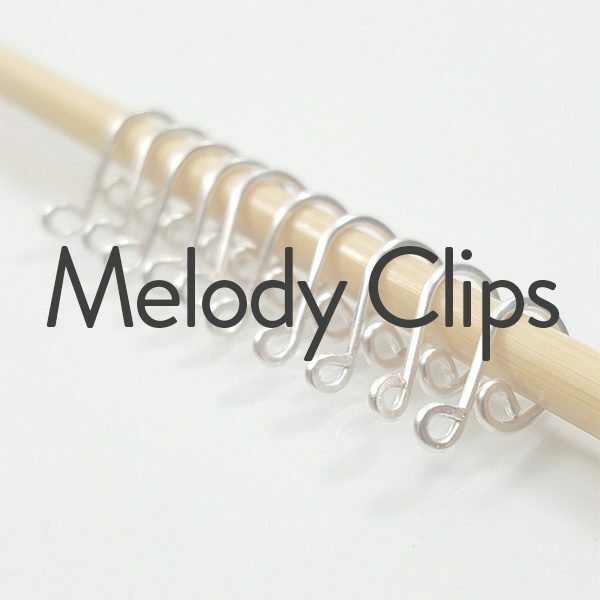 Our melody clips are hand formed with care to make them smooth and snag free for the most enjoyable knitting or crocheting experience. Mark a stitch, use as a stitch holder for just a few stitches, mark your rows on your row counter, or simply put it on your needles to keep track in your pattern. Melody clips are Dawn’s FAVORITE stitch marker’s for knitting lace since they can’t get accidentally knitted into your work while using a lifeline!